Treat yourself to a comprehensive exploration of southern and western Germany as well as its bustling capital! Enjoy all must-see sights of Munich, Stuttgart, Heidelberg, Cologne, Dusseldorf, and Berlin with your local guides. Explore remarkable destinations on day tours such as the Black Forest which was the set of many tales by the Grimm Brothers, the gorgeous Neuschwanstein castle, and the Potsdam palaces. Stay at included central 4 or 5-star hotels to your liking and we'll take care of all the hard planning for you. Welcome to Munich! Upon arrival you meet your driver at the arrivals hall and head for your centrally-located hotel for check-in. After the tour, you return to your hotel to pick up your luggage and head for the train station. In about 2,5 hours you arrive in Stuttgart, the capital of southwest Germany’s state called Baden-Württemberg, meet your driver and head for your centrally-located hotel. After check-in the rest of the evening is free for you to start exploring the city on your own. Following breakfast you meet your private guide and embark an entertaining and informative city walk through the historic heart of Stuttgart. In 3 hours your guide shows you all the main attractions such as the Old Castle, Neues Schloss (New Castle) and Schlossplatz, Rathaus or town hall, the ancient gathering place Marktplatz and many others. This trip through time covers the founding of the city in 950 all the way to the present day. After the tour you return to the hotel and have the rest of the day at leisure. After breakfast and check-out, meet your private driver-guide in the lobby and embark on a full-day tour of the Black Forest. Together with your driver-guide, you explore the character of the region, that was the setting for Grimm Brothers’ fairy tales. During the full day journey through the Black Forest, you see the beautiful Mummelsee lake, can opt for a hike to the Hornisgrinde, the highest point in the Northern Black Forest, try local wine of the famous Baden wine region, and visit the town of Triberg, home to the biggest cuckoo clock in the world and the biggest waterfall in Germany. 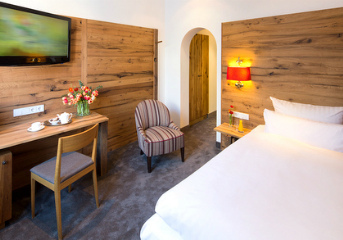 After the tour, you are taken directly to your hotel in Heidelberg for check-in and have the evening at leisure. After the pleasant walk through the Old Town, you board a historic funicular to reach the top of the hill where you find Schloss Heidelberg, the Heidelberg Castle, which is considered to be one of the most important ruins in Germany. These extraordinary Renaissance ruins that inspired Germany’s Romantics used to be the former seat of Heidelberg’s Prince Electors. In the Castle you also have a chance to visit the German Apothecary Museum and see the Great Tun, the biggest wine barrel in the world, that was able to hold 221,726 liters (or 58,578 gallons) of wine. After the tour you take the funicular back down to the Old Town and return to your hotel. You have the afternoon and evening at leisure and can continue exploring Heidelberg on your own, or join one of our optional tours. After breakfast and check-out you are met by your private driver and transferred to Mannheim train station for departure to Cologne. In about 1,5 hours your arrive in Cologne, the largest city of the most populous German federal state called North Rhine-Westphalia. Upon arrival, you meet your driver and head for your centrally-located hotel. Upon arrival, you start a tour from the heart of the city - its famous Altstadt (Old Town). Together with your private guide you stroll through the maze of little streets, discover the "longest bar in the world", learn about the early ages of Heinrich Heine, a famous German poet, admire the gothic St. Lambertus church, the Rider statue, and the Rhine embankment promenade. Your walking part ends at Burgplatz pier from where you start a panoramic cruise on the Rhine River. Your public boat ride covers the route from Altstadt to the MedienHafen and back. MedienHafen is a modern district famous as one of the most spectacular urban revitalization projects. After the tour, you take a train back to Cologne, have a transfer back to the hotel and have an evening at leisure. Your exploration starts with the outstanding gothic Cathedral of Cologne included in the UNESCO World Heritage list. Kölner Dom, as it is called in German, with its 160 meters (525 ft) height, proudly dominates the skyline of the city. You explore the cathedral's interiors, its treasure chamber and, if you want, climb the 533 steps to the top of the tower to catch the most comprehensive view over the city and the Rhine. After you stroll along the streets of the old center, meet the 'Tünnes und Schäl' figures, representing the original locals, see the old charming houses, historic town hall, and tower. After the tour, you return to your hotel to pick up your luggage, and your private driver transfers you to the train station for your train to Berlin. In about 4,5 hours you arrive in the capital of Germany, upon arrival, you are met by your private driver, who transfers you to your hotel for the check-in. After exploring the historic city of Potsdam, you head to the famous summer residence of the Prussian king Frederick the Great, the Sanssouci Palace and Park (audioguide tour included). You also have a chance to visit the Cecilienhof Palace, the site of the Potsdam Conference, a symbol of the end of World War II and the beginning of the Cold War. After the tour you are taken back to your hotel in Berlin and have the evening at leisure. Exploring the Palaces and Parks of Potsdam.